Two ideas are hard-wired into our minds. We believe life is good and that forcing people into existence is a positive thing not because of rational thinking. Genes make us think this way, because this is how they progress. Without these ideas, an organism kills itself and doesn’t produce offspring. Genes die, and genes’ purpose is to continue. People always killed themselves. Some cultures even claimed it’s virtuous in certain situations. We’ve made huge ‘progress’ (Or, more correctly, changes) over the years thanks to doubters who kept tearing down ideas and replacing them with new ones. The general ideas about the value of life and birth remained the same, though. One famous philosopher talked about how we shouldn’t have kids, but is there any major literary work that asks this question? You can’t blame Perry for not digging deep enough. She’s in the toughest stage of philosophy. Ethics and the meaning of life are both hard subjects, and going against your own genes is even harder. Few people made that journey – many who tried just said suicidal people got some chemical imbalance and called it a day. If her exploration is sometimes a little shallow, it’s only because she has few sources to draw from. Her section about suicide is the most disappointing one. It’s a shame, because it’s also the most important one. Of all the ideas in this book, assisted suicide is the most practical one. The suicide prohibition is harmful and no different than oppression of minorities. We treat suicidal people like criminals. Voicing misogynistic or racist thoughts is less dangerous than voicing suicidal thoughts. People can be hospitalized against their will for wanting to die. No suicide prevention is willing to actually talk to suicidal people, to deal with the arguments behind why suicide is a valid option. At least when people argue against misogyny, they got science and philosophy behind them. When people talk about suicide, they write people off as ‘irrational’. There are a lot of ways to look at this tricky subject. Suicide is a private action that causes great distress to the environment. Perry doesn’t delve enough into why suicide should be protected. The main arguments suicide are the value of life and the harm it causes to others. The harm it causes to others is especially important, since ethics often blur when freedom, pleasure and pain mix. While Perry explains briefly the principle of consent that transform murder into assisted suicide, it’s not enough. Suicide causes extreme pain and we need more allegories, more rephrasing of why it’s okay for a person to kill themselves. There’s a whole chapter about the suicide contagion which feels a little pointless – sure, it’s a thing but not as central to the debate as other things. The chapter about social pain is fantastic and too short. It’s a new way to approach the problem of suicide and is informative even if you don’t believe in the right to die. The common narrative is that people kill themselves because they’re depressed is common and pretty comfortable. It makes the problem more complex – how do you solve depression? – but it erases responsibility. Perry’s idea that people kill themselves because of failed social belonging demands a revolution in suicide prevention. Suicide prevention should start earlier, and constantly happen. If people kill themselves because they don’t belong, we need to create a more welcoming, a more social society. This type of idea is easy to explain, since people experience a lot of social pain. Suicide is causing social pain, actually – you reject people, deeming them not worth the time. It’s also the only moral type of suicide – suicide prevention by improving life, rather than stopping the act itself. Suicide is a difficult subject. There are the practical side of how we make assisted suicide available – who’s fit, who loses the right to die, whether there’s an age of consent. The issue of how people feel after someone dies to suicide cannot be ignored. No matter how integral the right to die is, suicide leaves a huge pain (In fact, it’s considered the worst way to lose someone). Perry doesn’t do enough to explore such an alien idea to many. Her writings about antinatalism is far better. She does write off the subjective perspective too easily, though. This higlight the core difference between the right to die and antinatalism. Both rely on different versions of morality. The former values freedom and the subjective perception, the other one is about preventing harm. So even if life is overall bad, the fact people perceive it overall to be worthwhile is important. People who behave in a ‘suicidal’ way, according to her, may just be optismitic enough to believe it’ll be worth it in the end. Maybe they take these huge gambles because they value life so much that even if the gamble fails, life is still worthwhile. Nevertheless, her anti-life arguments can’t be written off easily. They demand questioning our genes. Picking apart our daily schedules is important even if you believe life is worthwhile. By showing us how much time we waste on doing nothing, how much of our life is actually unpleasant she motivates change. If you truly think life is worthwhile, then you must act in ways that’ll prove it. If social pain encourages suicide, we must build a more friendly, communal society. Our morality relies more about not doing harm than actually doing good. What kind of society is it where we only avoid harm but don’t do good? A good life isn’t defined by lack – happiness due to absence rarely lasts. We’re happy when we have friends, but we’re not happy because we’re not being bullied. The chapter about the natural world is also essential reading. It’s a radical and rare view of nature – not as a friendly, optimal place but one whose behavior is actually anti-life. So many animals die so young. Yet we don’t interfere when the female mantis eats the male’s head. How do animal rights work in this context? Why is it wrong to kill animals, or to ignore murder but okay to ignore it when it the organism aren’t human beings? What makes the book so valueable is that even if you don’t agree with Perry’s thesis – many won’t, since they either love life too much or they can’t resist their genes – the ideas here are still useful and thought-provoking. It’s not just about how bad life is, but what to do with it. The last chapter, “Living in the Epilogue” is both horrifying and comforting. If things are really that bad, we can at least speed up life by enjoying it. Also, who has it worse? The person who’s about to die or the person who has 90 unwanted years ahead of them? 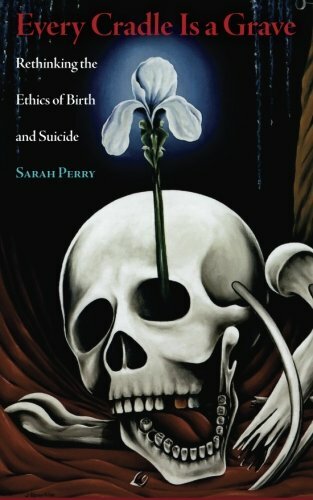 It’s an incomplete book, but antinatalism and suicide are difficult subjects. Perry at least confronts them instead of writing them off. Maybe someday in the future – if we have one – this book will become slightly outdated because of some basic sections. For now, this is a book that stares at difficult subjects in the face, provides tough answers and plenty of room for discussions or to move forward. You don’t have to agree with Perry to enjoy this. Many of her ideas can be used to improve society. As she said in the beginning, and something we often forget – we’re all humans, and what drives ethical philosophy is compassion for others. First I was a leftwinger. Then I was a rightwinger. There was a time I preferred calling myself either Liberal or Conservative. There was even a period where I thought Neoconservativism might be the thing for me. Every time I found a team to be a part of, it felt good. I looked at the other side and called them names, like genocidal maniacs or ignorant racists. Something about that demonizing made me feel weird, though. I wanted to be right, but all I heard from my fellow team mates is that the other side is terrible and gay. Just because someone else is wrong doesn’t make me right. In the latest elections in my country, the campagnes were an embarassment. I had no idea who to vote for. All they could do is sling mud at each other. I looked at the propaganda films and was shocked. Is that how adults behave? Are the leaders of our country trying to convince me using silly jokes instead of talking about the issues? The problem was never the Liberals or Conservatives. The problem was in this division. My first arguement was that neither Leftwing nor Rightwing presents a coherent ideology/philosophy. That was a silly statement. There is no Communist Manifesto for any of them, but the Communist Manifesto doesn’t easily sum up Communism. No school of thought is uniform. Capitalism, Existensialism, Buddhism, Antinatalism, Feminism – these are big, complex ideas that take various forms. Some have more variety than others. Antinatalism, for example, is a very simple idea to grasp. Still, expecting a word to easily sum up an idea is foolish. So that’s not what was wrong with this axis. What was wrong was how it created sport teams. It causes a divison into sport teams. There are Leftists, and there are Rightists. They’re fighting for power in the government. This means that the main concern of each side is not improving the country but gaining power and defeating the Other. Left and Right are presented as a dichotomy. You’re either Democratic or Republican. You have to choose a team. Once you choose a team, you have to stay loyal to your team. That means never, ever agreeing with the opposite team. Once a team takes hold of an opinion, the other team must not agree with it. Gay Rights is often attributed to the Left. That’s why I see Rightwingers here being hesitant to support it. Instead of trying to promote Gay Rights, many of them talk about how the Left uses it to ‘gain power’. There is some truth to that. The Left uses it to paint the Right as narrow-minded, homophobic and evil. Another example is how people on the Right will rarely criticize the Ultra-Orthodox Jews. Despite all their supprt for the army, they won’t criticize a group who refuses to help defend the country. If you so believe in defending the country, you should be just as harsh on those who refuse to serve because they’re reading a book. Because the Ultra-Orthodox are on the Right side though on subjects such as security (I’m pretty sure most of them object to a Palestinian state), people on the Right remain silent on their parasitic behavior. These teams have stopped promoting issues. Neither the Right nor Left is doing anything with Gay Rights. All they’re doing is using it to pain the opposite team badly. In truth, there are no opposite teams. It’s all Spaceship Earth. All people should have an interest in What Is Best for the Country. Of course people will disagree on What Is Best because everyone comes from different backgrounds. Yet how will we know what is best, how will we improve our country if we don’t try to improve our understanding? Both the Left and the Right want to live in a secure country. The Arabs want it, too. 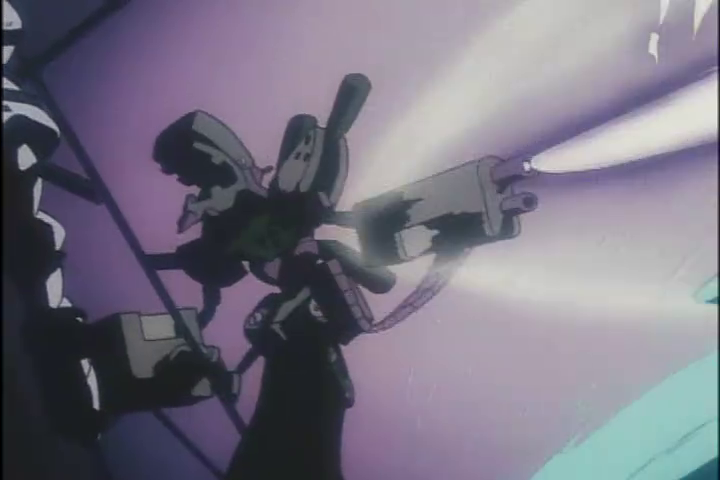 Unless someone is suicidal, no one really wants to live with rockets flying over their head all the time. The question is, how we make the country more secure? Sadly, the Right and the Left are too attatched to their answers. The Right is too afraid of the Arabs. The Left is too afraid to acknowledge there is racism, homophobia and hatred outside our walls. These people don’t want to find the right answer. They want the answer they already have to be right, no matter what. So long as we want our answers to be right rather than to find the right answers, we’re looking for enemies to beat down instead of learning. I’m not a Rightwinger nor Leftwinger. There are some ideas I consider myself a part of, but even then my version of them is my own. Do not ask what box to put me in. Ask what’s in my box instead.